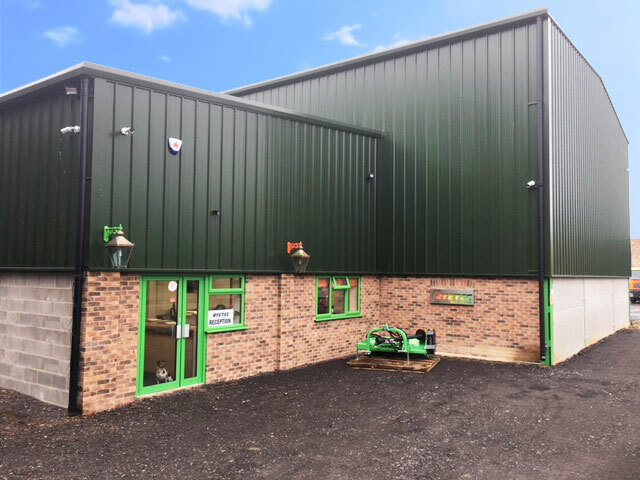 We offer a wide range of Mower Collectors to suit small compacts up to large agricultural tractors. 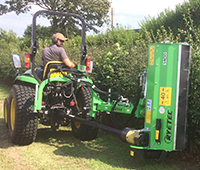 Sidearms to suit Compact tractors with class leading level topping height of hedges. 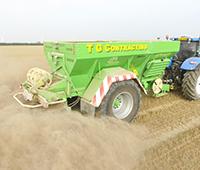 Gustrower trailed high capacity fertiliser and lime spreaders, spread high quality fert to 42m as well as dealing with low quality lime etc. 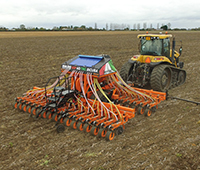 MA/AG Direct No Till Drill a simple and robust machine for no till, min till and conventional operation. 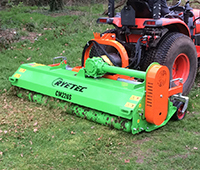 A large range of flail mowers to suit all tractors from small compacts to large agricultural ones. Made to suit all applications and various finishes. 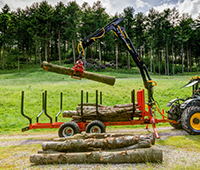 All timber handling equipment available, timber trailers, grabs, grapples and roof mounted cranes. 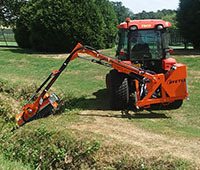 Offset 4 in 1 mowers than can cut hedges and mow steep banks. 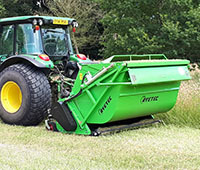 Light flails for compacts and heavy duty versions for larger tractors. 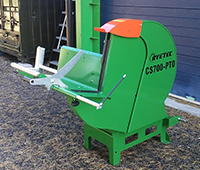 Range from mini processors with 30cm cutting capacity up to large processing plants with 60cm capacity. 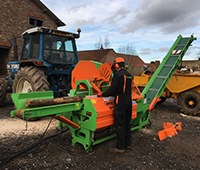 Horizontal Log Splitters built to your specification with various sizes available. 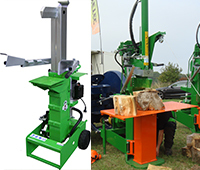 Range from heavy domestic to very heavy contractor vertical log splitters. 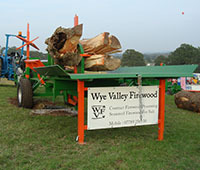 Heavy duty log saw benches with optional conveyors to speed up the logging process. 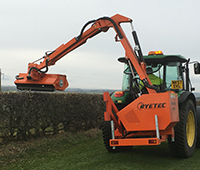 Large multi positional hedge cutters, offering forward reach and telescopic versions. Chaser bins for grain, fertiliser and seed. Capacities of 16, 20, 25 & 30 Tons. 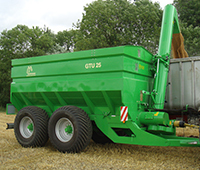 Agrex offer grain dryers from 7.5ton up to 40ton. Fully Automatic and Manual options available with various fuel sources.